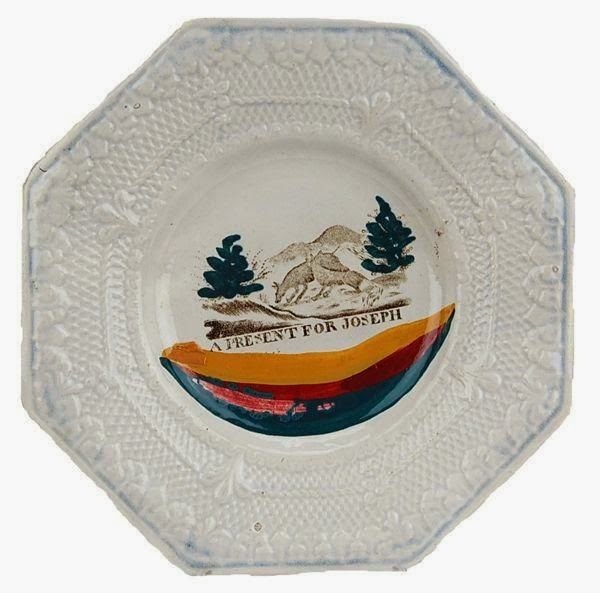 If this plate looks familiar, it is because I used it in a blog post I wrote about my father for Father's Day. His name was Joseph. Always called Joe or Joey. 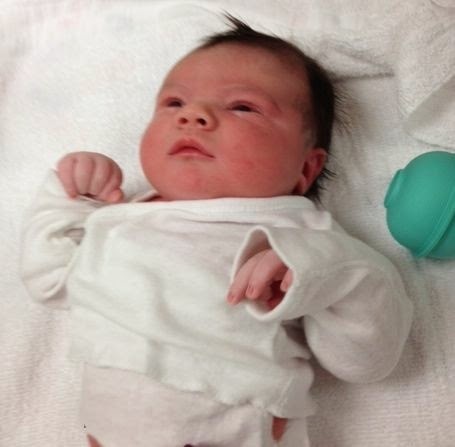 My newest grandson was born on Wednesday night, March 12, 2014. He is named for my father. I can't think of a lovelier tribute. As I said in an earlier blog post, Present For My Dear Boy (written in November 2013 to celebrate the birth of my grandson, Liam), children's patterns with names were often intended as gifts for a new baby. 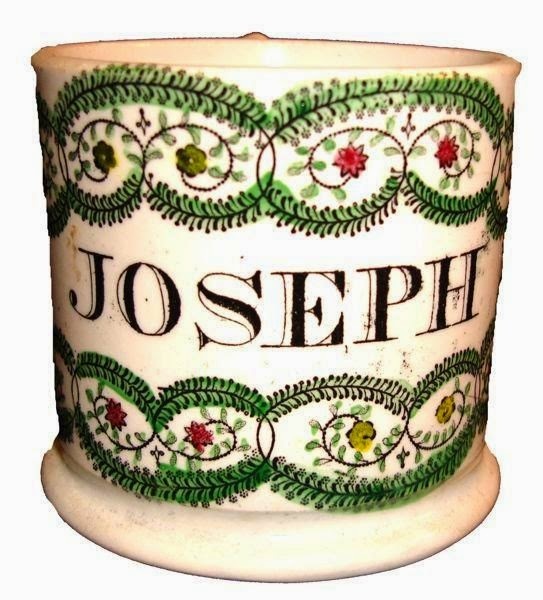 Joseph is my first grandchild who has a name that was popular in the 19th century, so I hope he likes children's patterns! Here are a few intended for a loved child named Joseph. Beautiful baby & beautiful pottery! I have a small collection of name mugs but have only managed to match one with a child or grandchild (Francis for my youngest son). I've never seen my father's name on a mug or plate - he was Hector! Thank you! 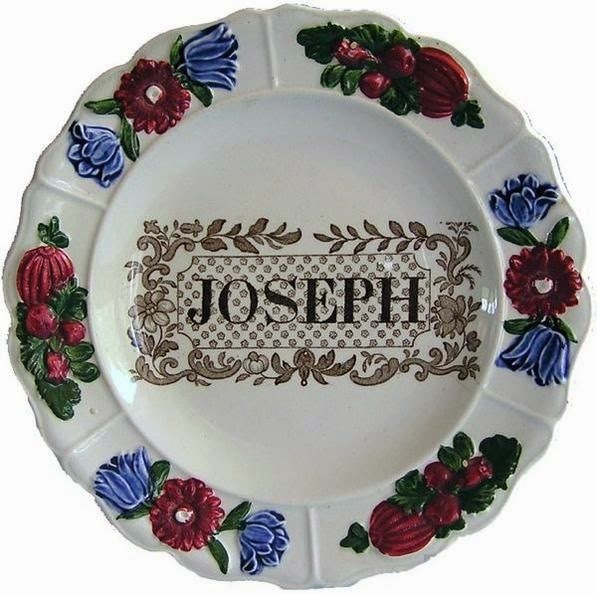 I own a David plate (my husband and one of my sons) in the same style as the Joseph plate. 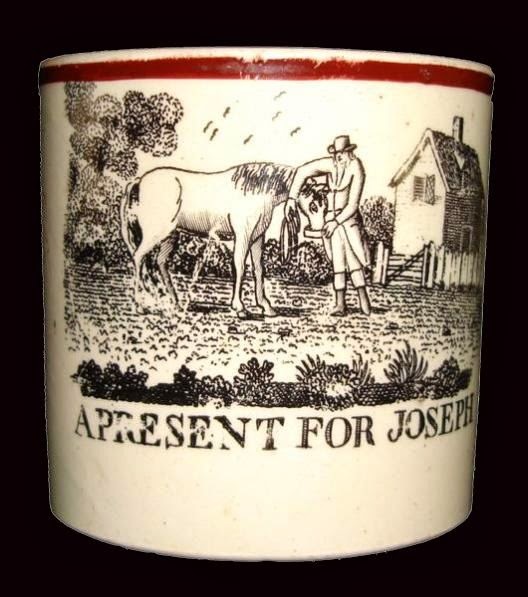 I also own one of the Joseph mugs seen in the post. 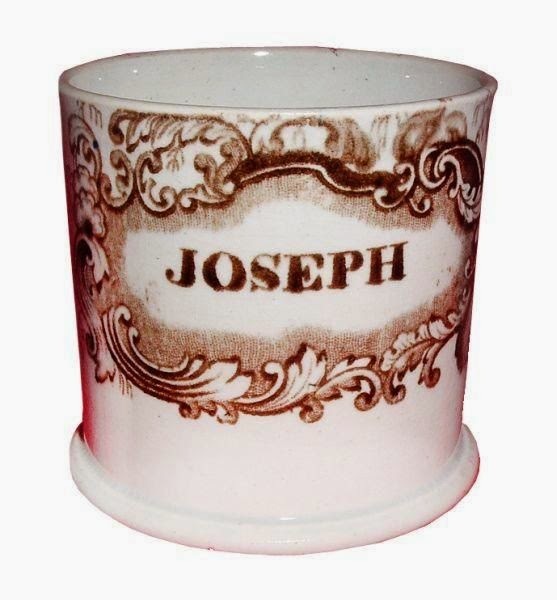 Perhaps I shall find an Alexander or Benjamin (two of my grandsons) name plate or mug someday. 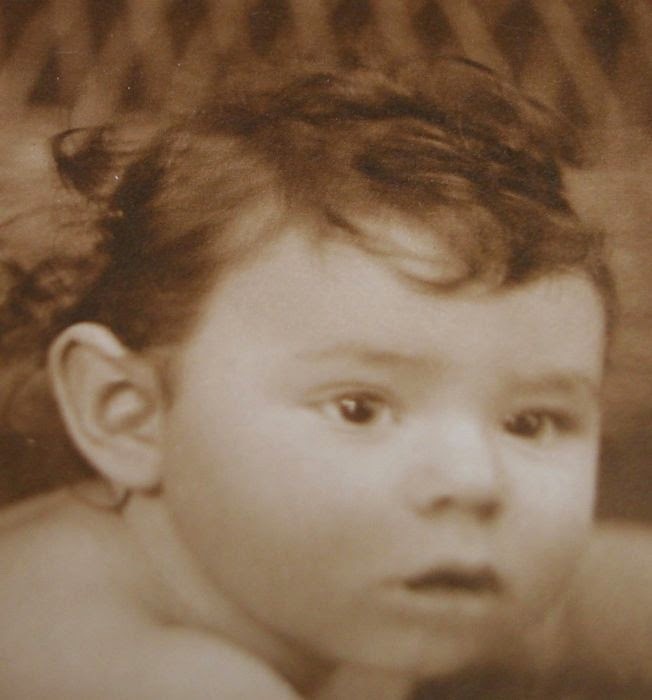 My other children and grandchildren have popular 20th and 21st century names. lovely post and congratulations. My son is called Joseph too! Thank you! 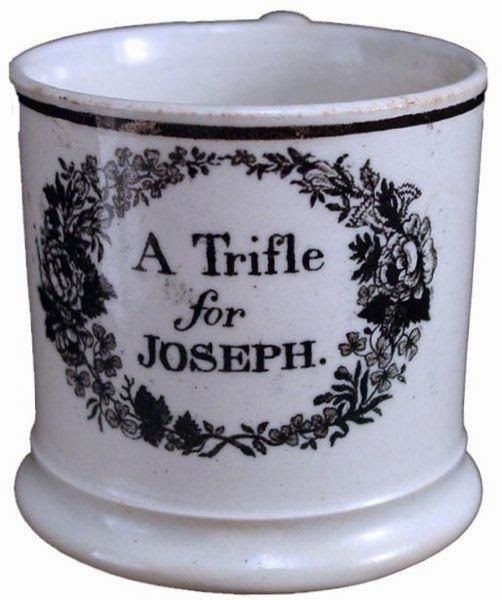 I love the name Joseph. SHELL EDGE OR FEATHER EDGE?